Reinforcement is available with several new functions. 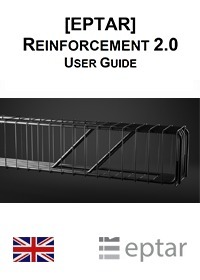 With the help of Reinforcement 2.0, the design process is more efficient than ever. 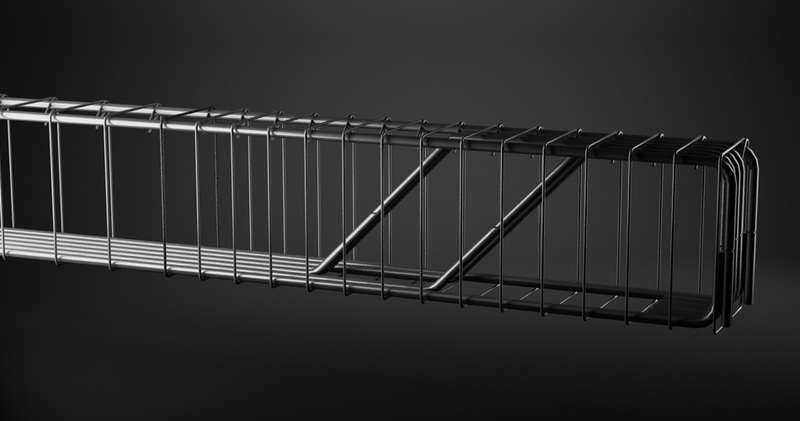 The solution contains a library of different reinforcement objects and an Add-on. They provide great freedom in defining constructions and also help to specify complex objects. Eptar Reinforcement also checks the rebar ID numbering and corrects it if is necessary. With Reinforcement tool, users can simply calculate the necessary amount of rebars. Iron list is available on the floor plan just as the interactive schedule. Eptar Reinforcement plugin runs in demo mode until you purchase the product. Demo mode functions as the full version but the amount of rebars used to define complex elements and make listing, is limited. Q: How can I buy Reinforcement? A: You can buy Reinforcement online though the Éptár webshop via PayPal. In case you prefer to get an invoice, please, send us your invoice data (name/company name/address/VAT number) to info@eptar.hu indicating the type of key you would like to use. After paying the invoice, we set your license. A: Choose online key if you have constant internet connection on your computer. You can use Reinforcement on other devices with online key but only on one computer at a time. If you start working with Reinforcement from another device, the previous one will log you out and switch to demo mode. Choose machine key if you do not have constant internet connection on your computer. With machine key you can travel anywhere, Reinforcement will work, and it will exclusively work on one computer. Q: How can I install Reinforcement on my computer? A: To install Reinforcement go to: https://www.eptar.hu/reinforcement_2_0 and select DOWNLOAD considering whether you work on Windows or Mac. Close ArchiCAD and follow the instructions given by the installer. When you next start ArchiCAD, Reinforcement appears in the menu bar. 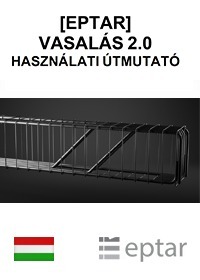 Q: Do I have to register in Éptár webpage to be able to buy Reinforcement? A: Yes, a registration is necessary for the activation of the solution. After registration and login you can give your data and also select the type of key (online or machine) and set it. You can give your Reinforcement username and password here for online key that you can use to start Reinforcement on your device. For a machine key, you can generate the requested code here as well. A: In case of an online key, an optional username and password must be entered. After installing and starting ArchiCAD, you must select "Reinforcement Registration", then pressing "Validation" and "Online validation" buttons. You have to enter the username and password you have given after logging in to eptar.hu then activate Reinforcement by pressing the "Activate" button. First, you have to install Reinforcement and start ArchiCAD. In the menu bar, select the "Reinforcement Registration" button. A window will appear where you can download the machine_key.dat file to your machine by clicking on the "Save your machine description file" button. You have to insert the received code to ArchiCAD "Reinforcement Registration" "Validate an already purchased key" "Machine key...". The program is activated. Q: How can I upgrade my license from older versions to version 2.0? A: After logging in to www.eptar.hu, pressing "Purchase" or "Upgrade" you can buy or upgrade the solution. For purchased and upgraded products, the "Unlock key" button is displayed and additional settings are required here. There are two types of product registration options depending on whether you want online or machine key. Q: Is Reinforcement 1.5 still available to buy? A: No, with the release of newer version, 2.0, the old, 1.5 is not available for new customers anymore. Q: What shall I do if I want to use Reinforcement on several computers at a time? A: If you want to use Reinforcement on more than one computer at the same time, you have to buy as many licenses as many computers you want to work on. One Reinforcement license can be used on one computer at a time only.